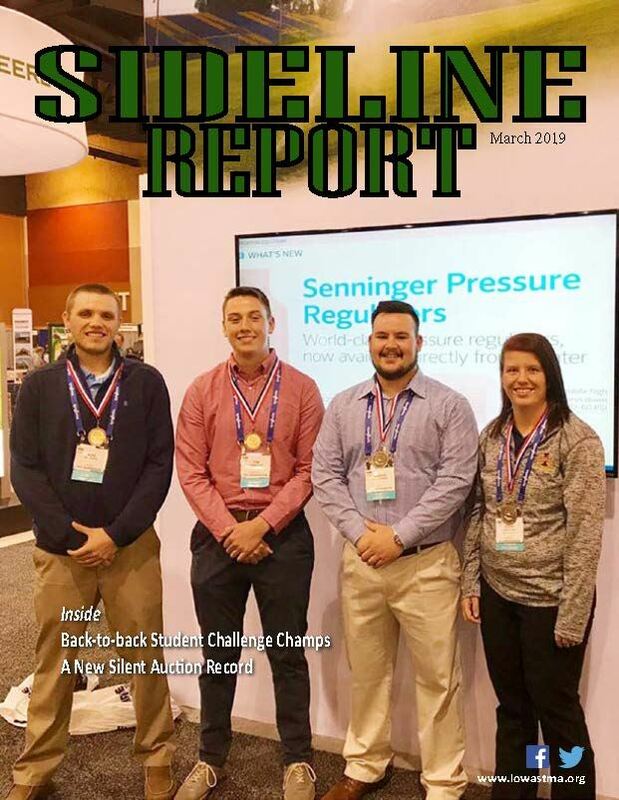 The Iowa Sports Turf Managers Association is excited to present the first workshop of the year, hosted by Cort Lauer and the Winterset Community School District. We invite you to join us in Winterset for a day full of sports turf centered education. 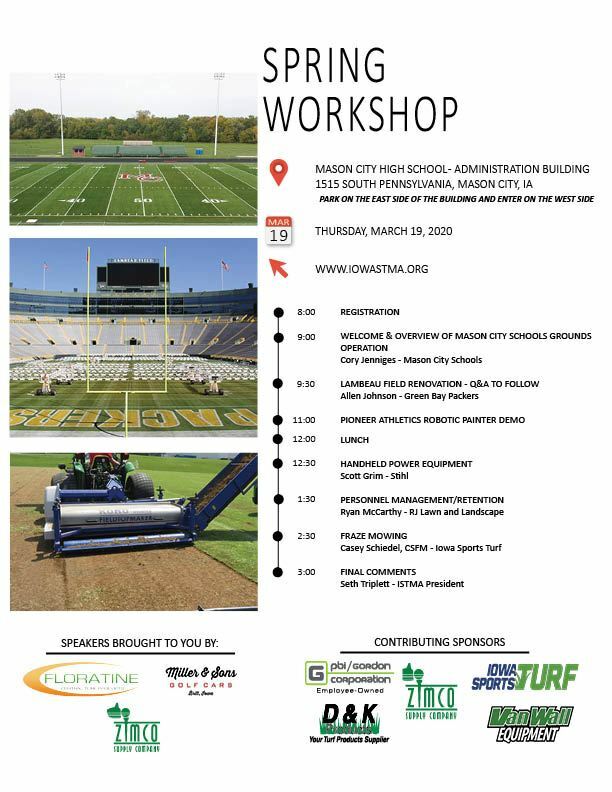 Thank you workshop sponsors: Bush Turf, D&K Products, Iowa Sports Turf, MTI Distributing, PBI/Gordon Corporation, SiteOne Landscape Supply, Stout Seed, Van Wall Equipment, and Zimco Supply Company.